Maksym Prykhodko is a Ukrainian-born interdisciplinary artist. 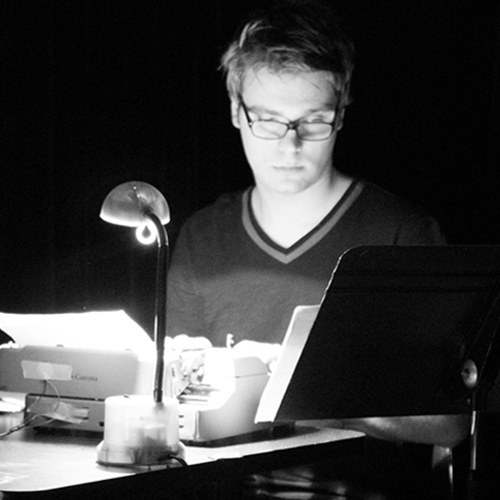 In 2016, he earned his BFA in Music Composition and Technology from the University of Wisconsin-Milwaukee, and since has been expanding his practice into interactive art, electronics and emerging rapid-prototyping technologies. Prykhodko’s best known work shout features 15 sound-responsive lightbulbs that are triggered by a participant's voice. The installation premiered in Milwaukee’s Var Gallery as part of the Art+Tech Exhibition. Audiences playfully interacted with the work by shouting, singing, and testing how volume transformed the blinking bulbs. Prykhodko is pursuing an MFA in Intermedia and Digital Arts at the University of Maryland, Baltimore County. His interests range from exploring themes of externalizing human organs through technology, to transmitting sound over radio in an attempt to degrade the signal through multiple iterations.